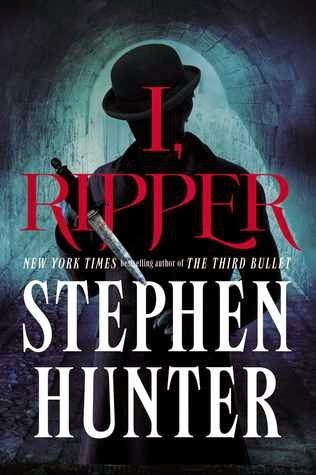 The electrifying new thriller from New York Times bestseller Stephen Hunter takes you deep inside the mind of the most notorious serial killer of all time: Jack the Ripper. In the fall of 1888, Jack the Ripper slaughtered five prostitutes in London’s seamy Whitechapel District. He did not just kill—he ripped with a butcher’s glee—and then, after the particularly gruesome slaying of Mary Jane Kelly, he disappeared. For 127 years, Jack has haunted the dark corners of our imagination, the paradigm of the psychotic killer. We remember him not only for his crimes, but because, despite one of the biggest dragnets in London history, he was never caught. I, Ripper is a vivid reimagining of Jack’s personal story entwined with that of an Irish journalist who covered the case, knew the principals, charted the investigation, and at last, stymied, went off in a bold new direction. These two men stalk each other through a city twisted in fear of the madman’s blade, a cat-and-mouse game that brings to life the sounds and smells of the fleshpot tenderloin of Whitechapel and all the lurid acts that fueled the Ripper headlines.